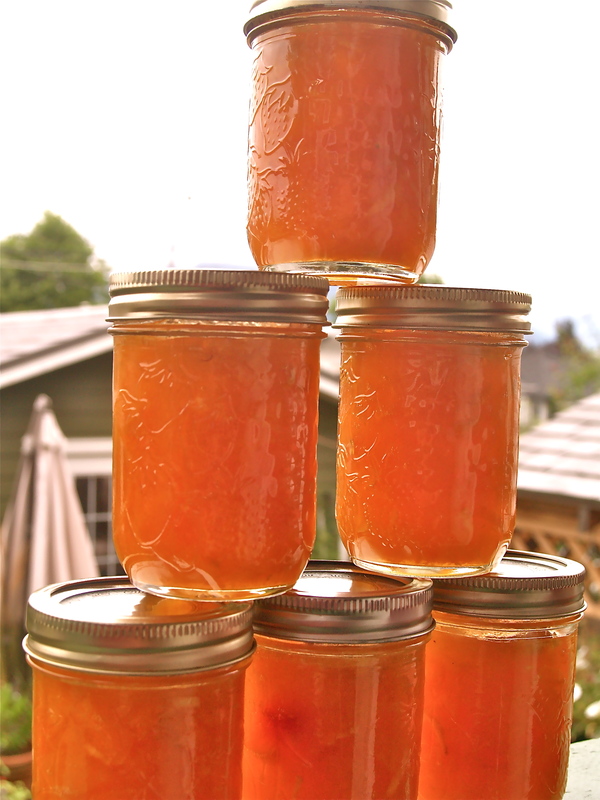 Apricots, ginger and honey – jam! Although we were just in the interior, we were too far North for cheap fruit purchasing and I was too exhausted in the hot drive home to want to add 5 hours to go via Keremeos (where we buy for canning every year). Instead we have opted for less-intensive canning and more small batches throughout the year which isn’t as cost-effective (by a long shot) but also isn’t so exhausting. Add apricots, ginger, sugar and honey to a pot. Boil until you can crush the apricots down into a jam-like consistency and the sugar is dissolved. Add no-sugar needed pectin, bring back to a boil and let it hard-boil for one minute. Take off the heat and ladle into jars. Before putting a lid on the jar, put one thin slice of ginger atop your jam. Process in a boiling water bath 10 minutes.